The moment you step aboard Seabourn, you are pampered and closely looked after. Within minutes, you know there will be no way back to normal cruising. Unlock your stateroom door and your hostess greets you with chilled champagne, hors d’oeuvres, and a warm smile. Within hours, the crew knows your name and personal preferences. Sit down at breakfast and your favorite morning drink is waiting for you. Lay by the pool where 2 towels await on every sun chair. You have joined the world of luxury cruising. Prior to boarding the ship, you will check in online. Unlike regular cruise lines, Seabourn asks you to select which 2 drinks you want stocked in your stateroom’s mini-fridge. I typically choose to have a bottle of Baileys and Christian prefers imported beers. You will be asked to state your pillow preferences. Everything is personalized to bring you the utmost comfort. Once you get to the port, complimentary cocktails and chilled towels await you. The on boarding process is smooth and civilized. If you respect your stated time of arrival to the port, your stateroom will be ready and available as you step on the ship. Exceptional service is what sets Seabourn apart. With a small ratio of crew members to guests, you live carefree while onboard the ships. The staff is friendly with a fine sense for privacy. They are present to serve you and ensure your needs are met in every way. We believe they are the true makers of luxury as they personalize your life onboard for carefree cruising. Much larger than on regular cruise ships, all Seabourn suites are either oceanview or verandas. Becoming your true home-away-from-home, they boast a walk-in closet and walk-in shower. 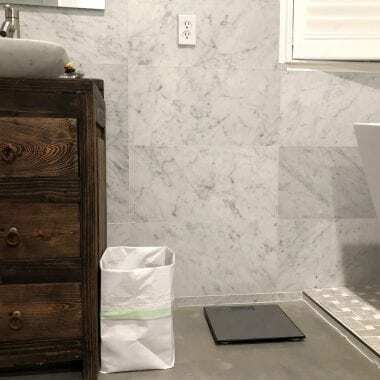 Stone covers the bathroom walls and as you embark the ship, your hostess will have you choose your favorite luxury soap for a fully customized sailing. Seabourn has a way to make you feel special. In an elegant but casual way, you are assisted and served every minute of your day, if you wish. Fine wines and spirits are complimentary, the only choice you need to make is where and what to drink. Waiters are walking the decks, cocktails in hand, happy to bring your a custom drink, should their selection not be to your taste. Should you be a coffee lover, head over to the specialty coffee bar, grab a book, homemade ice cream, and your favorite flavored coffee for a relaxing time on the deck. The gourmet food surpasses expectations. 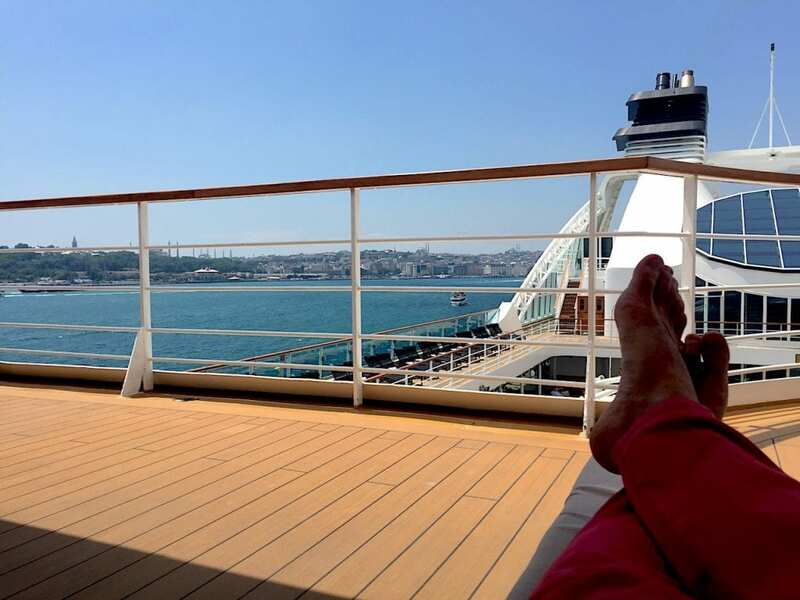 Seabourn is extremely casual, making for a wonderful vacation. You choose where you eat, when you eat, and with whom you eat – there is no pre-determined seating time. While tables are usually available, the longest we have every waited was about 15 minutes. We were politely recommended to wait at the bar and a crew member walked us to our table once it was ready. Seabourn has a partnership with chef Thomas Keller, who curated a fine menu in the main dining room. The Colonnade restaurant offers a wonderful setting at night with themed menus. Enjoy outdoor sitting and candle light dining and feel transported to the old cruising times, where service and quality were the epicenter of ocean travel. Should you prefer an intimate night, in-suite dining is available at all times of day or night. Enjoy any item from the restaurant menu if you order during dining hours. And if you don’t, everything on the in-suite dining menu is worth one of the best restaurants on shore. I am always in awe when the staff sets up the tablecloth and transports the dining room experience to the comfort of my cabin. Since Seabourn owns smaller ships, expect exclusive itineraries.They are able to dock in smaller ports of call, where you are often the only ship visiting. Forget large touristic destinations and enjoy quaint and intimate experiences in genuine ports around the world. Seabourn brings in experts in the destinations you are sailing. Hear from them in scheduled lectures and casually spark a conversation on the deck. Once a week, Seabourn opens its marina and takes thrill-seeking guests on complimentary banana boat tours and kayaking adventures. Based on your itinerary, Seabourn will offer exclusive experiences. 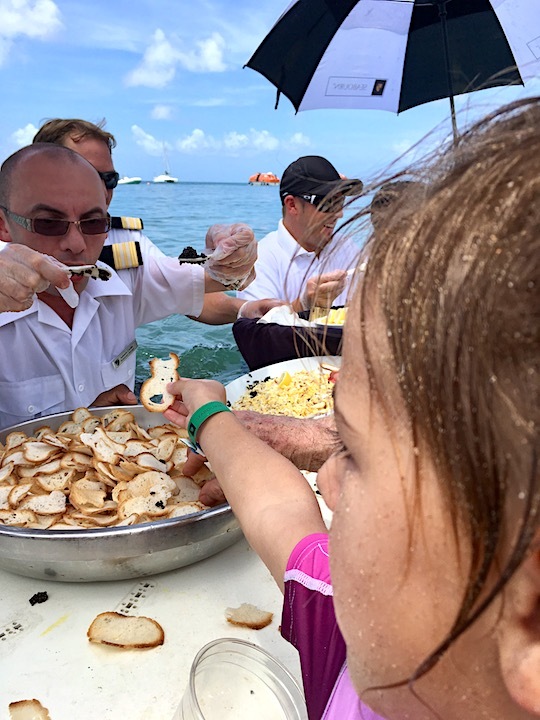 While in Mayreau, Saint Vincent, Seabourn organized their signature Caviar in the Surf BBQ on the beach (think grilled lobster and fresh coconuts with a hint of rum…). Shortly before lunch, the crew set up a bar in the ocean and served caviar to the beat of Caribbean waves. When cruising other itineraries such as the Mediterranean, you might experience dinner served in a historical site, reserved exclusively for Seabourn guests that night. 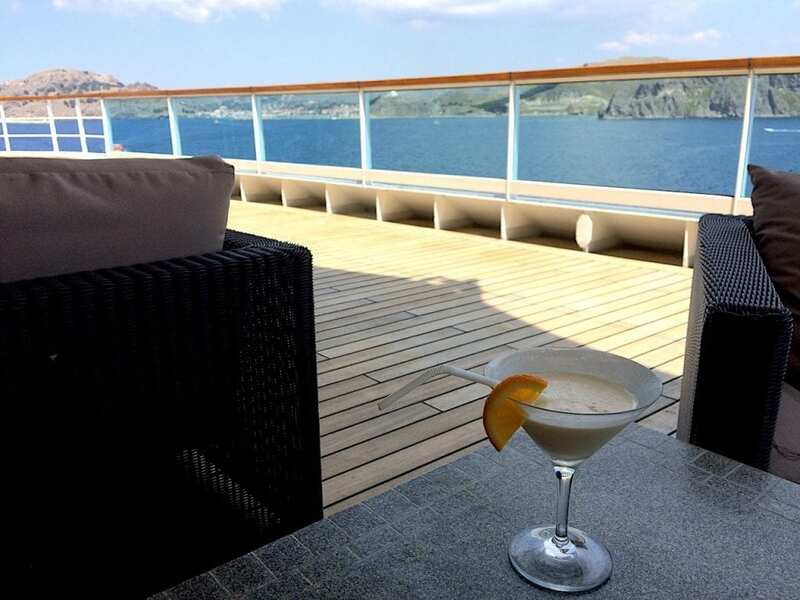 Another favorite of luxury cruising on Seabourn is the quality of your fellow guests. Like-minded and seeking similar experiences, you will meet friends. We are still in touch today, with several of our fellow passengers over the years. 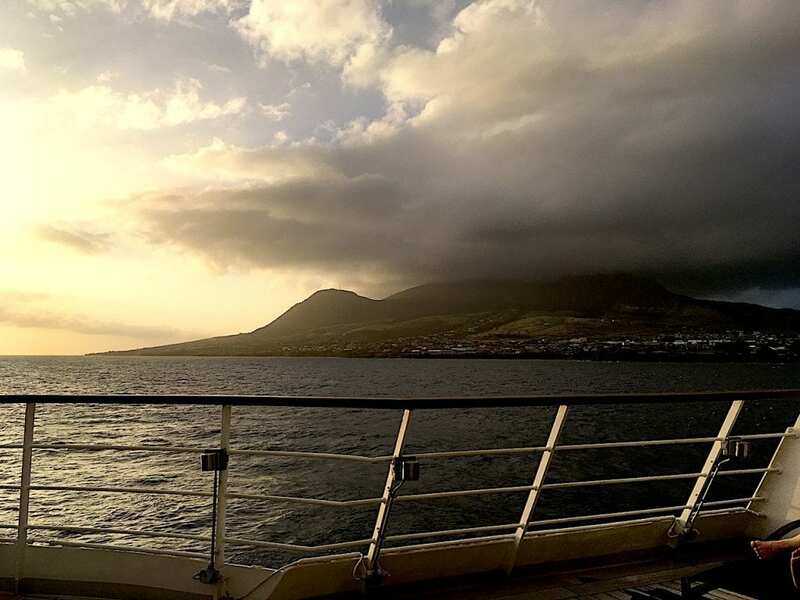 The connections are natural and intimate and you will be surrounded by wonderful people, making your cruise that much more enjoyable. For the experience and the service received onboard, we can only recommend Seabourn. 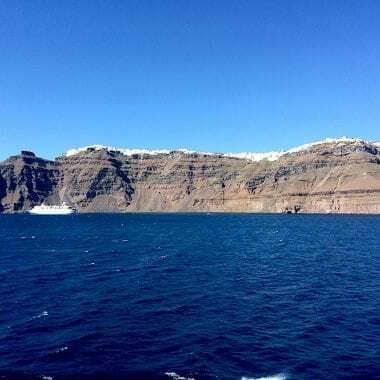 Call it luxury cruising or yachting, once you taste it, you will be part of a tight circle of privileged guests who experienced what cruising is all about – luxury, worry-free, and relaxing cruising. Thank you Janine! That’s right! A little luxury goes a long way! 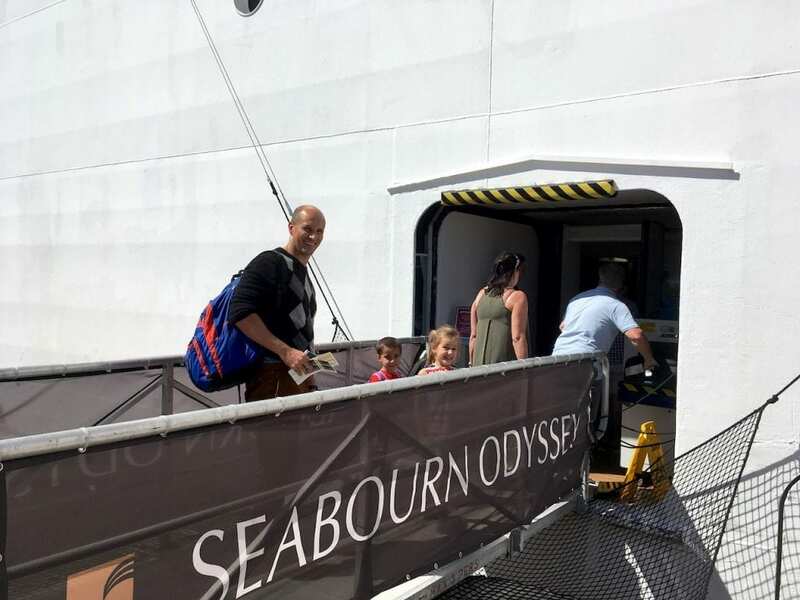 How did you save to go on Seabourn? I would love to take a trip on this line as I am not a fan of the bigger cruise ships at all. Sounds like you were pampered and had a fantastic time. This is a great question, Alison! 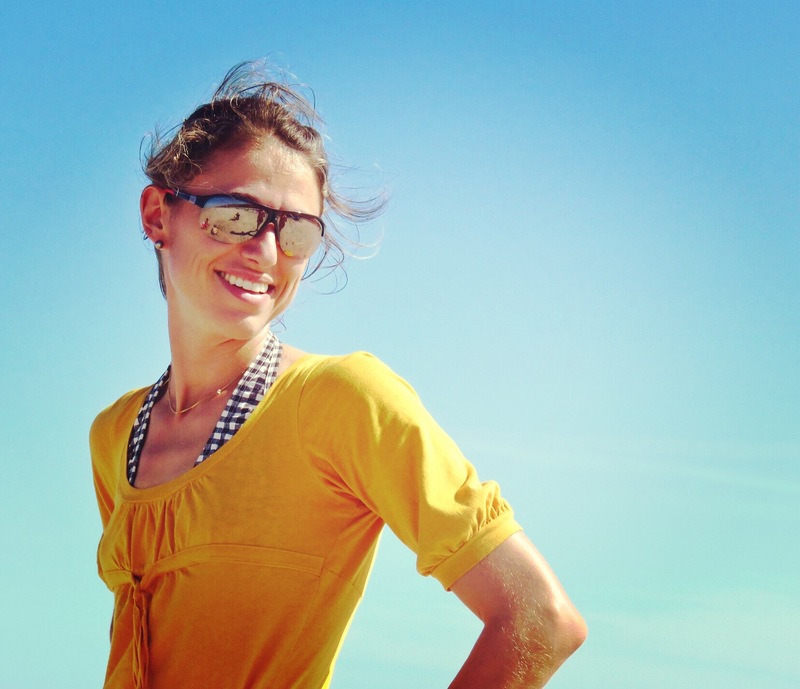 While my husband and I earn good salaries, we save everyday by living a frugal lifestyle. We never feel like we don’t enjoy life, however, we watch what we spend and eliminate most waste, allowing us to save most of our combined salaries. Since we love luxury travel, we spend a large portion of those savings on trips. Seabourn is definitely worth the higher price tag, I think you would love it!! I want to go! This sounds amazing. I have been casually looking at cruises lately as a potential vacation, but haven’t checked out Seabourn yet. Pam, there are several luxury cruise lines, each with slightly different offerings, but service will never disappoint. Let me know if you decide to book a cruise, I’d love to hear about it! I was excited when you shared that Seabourn asks you to select which 2 drinks you want to be stocked in your stateroom’s mini-fridge. That is great customer service. Also, loved that there is homemade ice cream. Yum. Another one of my favorites is their specialty coffee bar! They make wonderful coffees all day long! 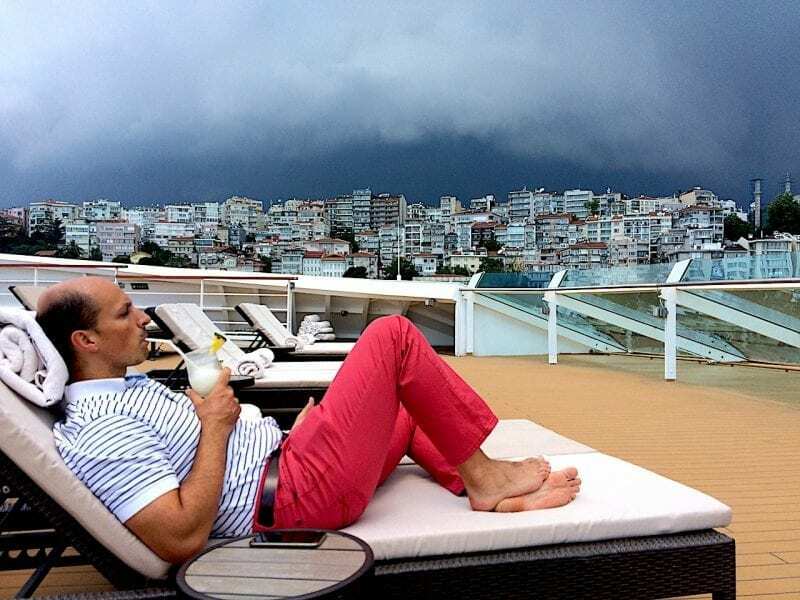 I had never heard of this cruise line until reading your post. Looks fabulous! And pretty cool that they have such a tight ratio of crew members to people on board. Thank you Kristi! You definitely get a lot for what you pay for! Wow! This look awesome! I’ve cruise, but never luxury cruised… I think I need to try it! Thank you Erin! Luxury cruising is so special, I hope you get to experience it soon! This looks like such a great (and relaxing) experience. I have a bit of a fear of cruising because I don’t like being surround by open water, but maybe a smaller shipmis the answer. Thanks for the motivation to check it out! Absolutely! Smaller ships give you a nice feeling of being on the water without the huge mass of a bigger ship. They are really pleasant! I so much want to go on a cruise someday. This post makes me positive I WILL go someday. 🙂 Just curious, those not interested in an alcoholic beverage, do they have any special drinks? Ruth, absolutely! The bar tenders will make you anything you can possibly wish and ask for. Our kids would go up to the bar and ask for a “juice cocktail” and come back with a different drink every time. While there is a drink menu, I never actually order from it and ask them to make me one of their own creations. Those are usually the best!! You can ask for any cocktail without alcohol, they’ll be happy to create anything you want! We never travel in smaller ships, think we need to look into Seabourn for our next cruise! Hi Evelyn, I think you would really enjoy it. It does make it hard to get back to big ships afterwards but it’s the best experience ever! !